Muscle fatigue can be as generalised as sore feet after excessive or unusually high use. This is normal and doesn’t require any more treatment than a warm foot bath (no longer than 10 minutes for people with -out wounds or skin cracks and no other foot problems) and foot massage. Avoid soaking feet if you have ulcers. Feet should not normally be painful or uncomfortable. If symptoms persist or return regularly professional care should be sought. There are many bony and muscular structures in the foot and any of these can have disease process. 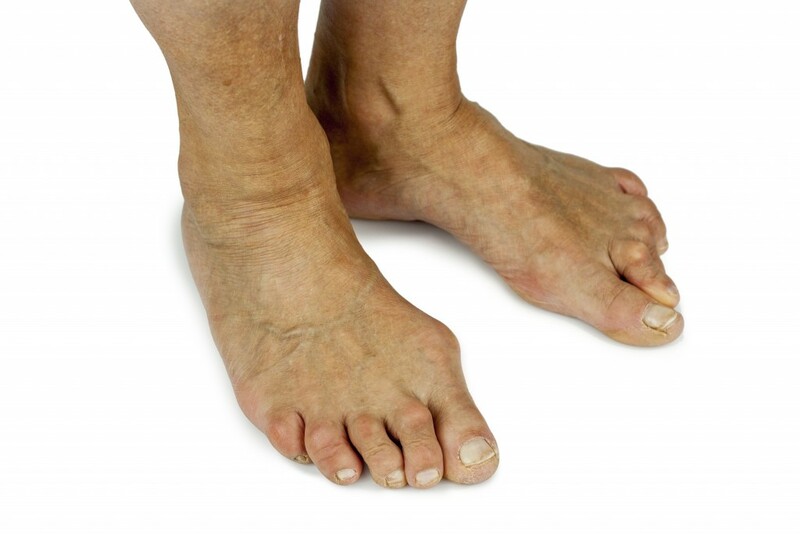 The foot being the structure furthest from the heart, it is also most susceptible to circulation problems. If the foot has poor blood supply the colour of the skin can be pale, pink or even red. The skin on the feet and legs can be affected by poor circulation and have a scaly/ peeling appearance. Cool feet can be an early sign of poor circulation, as are cramps in the muscles on exertion, such as walking up a hill. If poor circulation is not addressed by medications or surgery wounds can develop on the toes and heel areas, particularly with bed rest and constant pressure. These wounds are very painful and called ischaemic or arterial ulcerations. Podiatrists can assist with all types of foot wounds, some require pressure relief padding and insoles to allow the bodies processes to heal the area.